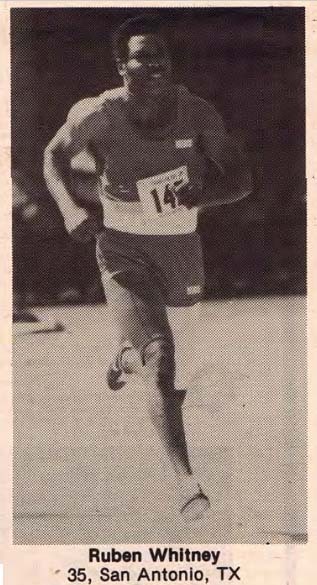 On June 14, 1980, San Antonio’s Ruben Whitney was 35 years old when he shocked himself by running 100 meters in 10.3 seconds. It was a world record for his age group. 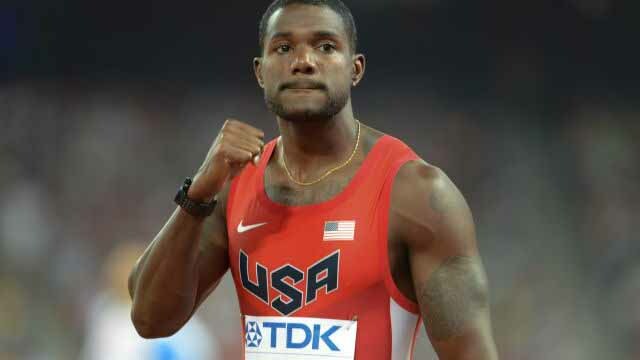 On Saturday, Florida’s Justin Gatlin was 35 when he beat Usain Bolt, the world’s fastest human, at the IAAF world championships in London with a time of 9.92 seconds. It was a world record for Gatlin’s age group. In fact, his 1980 mark — hand-timed with several stopwatches at a Southern Methodist University meet in Dallas — has been bettered by at least seven other Americans over 35 besides Gatlin. Seasonal lists kept by the International Association of Athletics Federations show superior marks by Yanks Dennis Mitchell (10.11), Floyd Heard (10.19), Kevin Braunskill (10.13), Mickey Grimes (10.17), Jeff Laynes (10.16) and Darvis “Doc” Patton (10.07) in 2013. Oh, and about seven weeks after turning 35 in 1996, Olympic legend Carl Lewis ran 10.10 in Brussels, Belgium. 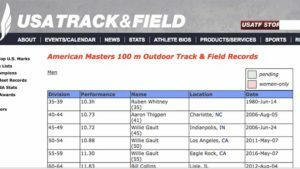 So why does USA Track & Field still list 10.3 as the U.S. record? “It’s a difficult issue,” says Jeff Brower, records chairman for U.S. masters track and field. Brower became masters records chair in 2015, succeeding longtime records boss Sandy Pashkin of Eugene, Oregon. He says he hasn’t received an application for an M35 100 record. “If someone wants to get a USATF MTF record recognized, the absolute best step they can take is to inform me here, ” he says. Brower says a year or two ago he came upon a performance by San Diego native and double Olympic sprint champion Gail Devers when she was 35 around 2002, and took steps to get it ratified as a record. Even though USATF rules recommend a “Recorder of Records” at every event, many fail to follow through. On masterstrack.com, I’ve documented dozens of marks that should qualify as American records but fell short due to paperwork technicalities or were never submitted (with many being set in overseas meets). Brower considers Gatlin’s 9.92 the true American masters record now. He says USATF masters track records are updated when a record application is approved, or when record performances occur at meets where an application is not required, per USATF Rule 261.5 that says the official results of certain events suffice, including the IAAF world meet. Whitney, the listed record man, says he didn’t see Gatlin’s gold-medal race until Monday — having been occupied with a weekend family reunion. He earned a football scholarship to Central State University in Oklahoma but didn’t run track until his junior year. He briefly played cornerback for the Toronto Argonauts of the Canadian Football League and spent three years with the semipro San Antonio Toros. A decade later, in 1978, he rediscovered sprinting when Steve Smith of the San Antonio Track Club recruited him for a relay. 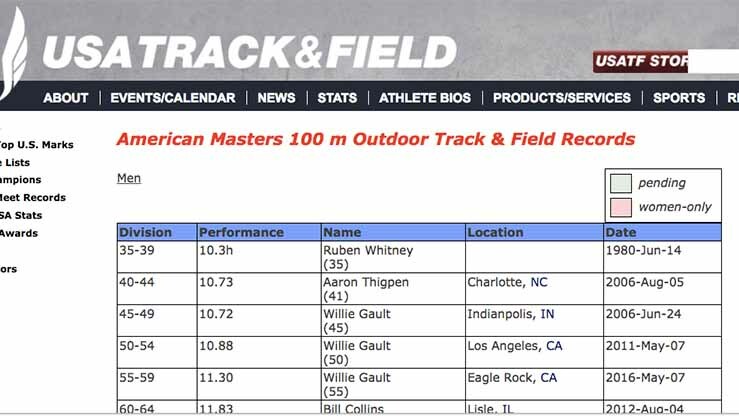 USATF masters track records show M35 American record 10.3 for 100 meters bv Ruben Whitney in 1980. Over the next four seasons, Whitney would race around the country, including San Diego, Atlanta and Philadelphia, winning national titles in the 30-34 age group before turning 35 in September 1979. He says he ran a hand-timed 10.19 in San Diego, and was encouraged to enter the U.S. Olympic Trials in 1980. (He didn’t, due to family and work, and President Jimmy Carter would boycott the 1980 Moscow Games anyway.) He looked forward to a California meet, where he expected to race world-ranked Houston McTear. The self-described “basketball nut” and counselor at Highlands High School in San Antonio says he was taking jump shots in the gym — “which I had been doing for 100 years” — and ruptured his right patellar tendon in 1981. Just like that, the world’s best over-35 sprinter was done. “I guarantee you right now if I hadn’t had that accident, I would have been still running some good times,” he says. He earned his master’s degree in health and physical education and doctorate in educational leadership and rose to principal of Madison High School, retiring in 2002 after 33 years in public schools. That fall, he became a counselor at San Antonio College, a community college where he still works part time. Whitney still referees high school basketball after traveling around the country with AAU basketball until 2013. His message to record-setter Gatlin? “Well, congratulations, and it’s a long time coming. A long time coming,” he says. Whitney says his name still appears in meet programs and people say: Is that you? He doesn’t plan to retire from counseling — “not anytime soon” at least.